Sports photographer Ezra Shaw is a woman after our own hearts, we like to think. 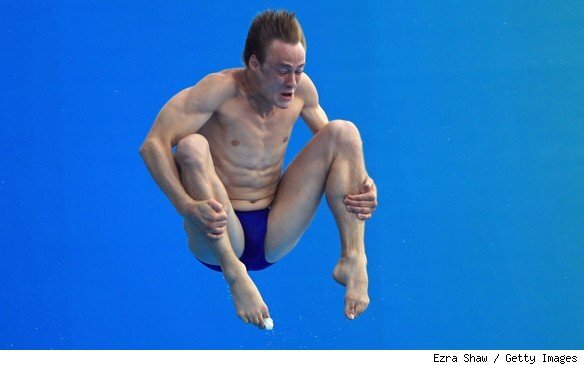 We make this presumption after discovering this delightfully gurn-y images of divers mid-drop at the 14th FINA Diving World Championships at the Oriental Sports Centre on July 21, 2011 in Shanghai, China. That's right, she just decided to take snaps of divers looking their most ludicrous, then load them up onto the internet. And though the divers themselves probably aren't best pleased, we can't help but enjoy ourselves pointing and laughing at them. We're terrible human beings, we know. Sorry about that, diver-men.